Winter weather brings unique challenges to outdoor workers and those who drive on snowy or icy roads. Give your employees valuable tips to help them stay safe with this easy-to-understand training course. Try this winter safety training now! 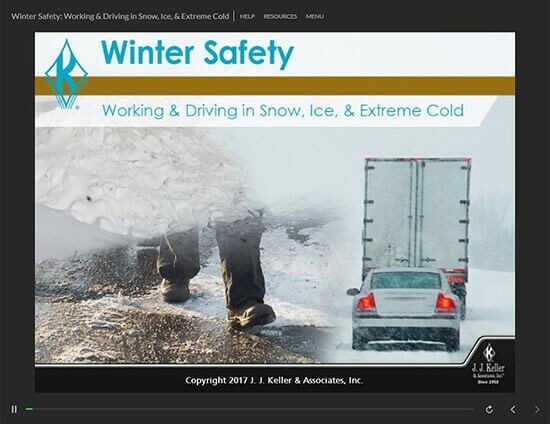 Thank you for your interest in previewing the Winter Safety online course. Please register or log in to watch free previews, browse the course library, purchase training points, and more.